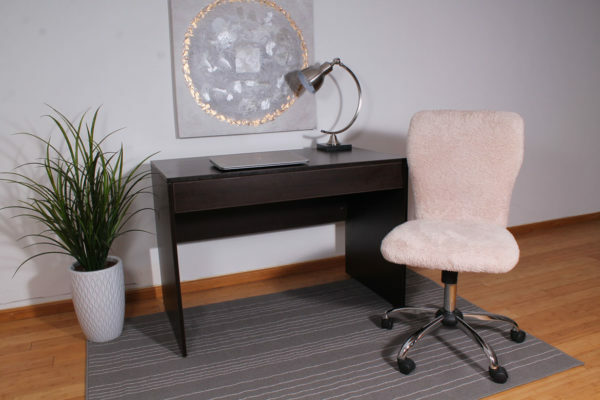 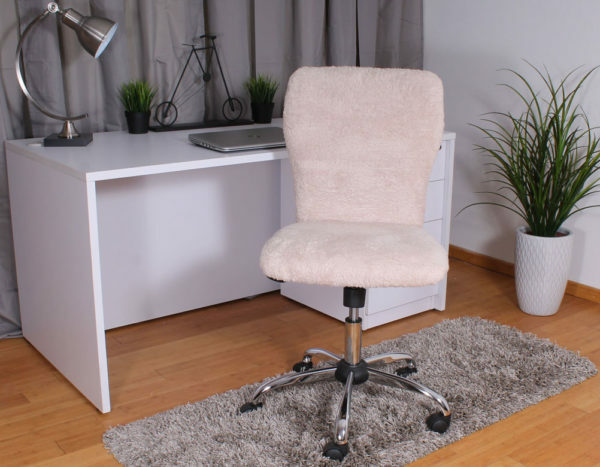 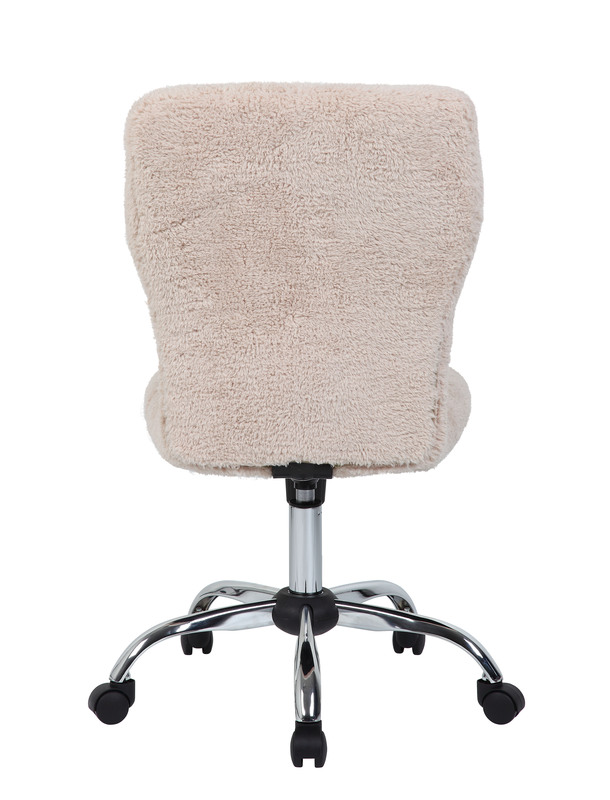 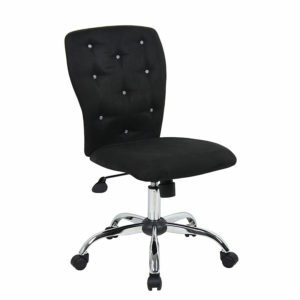 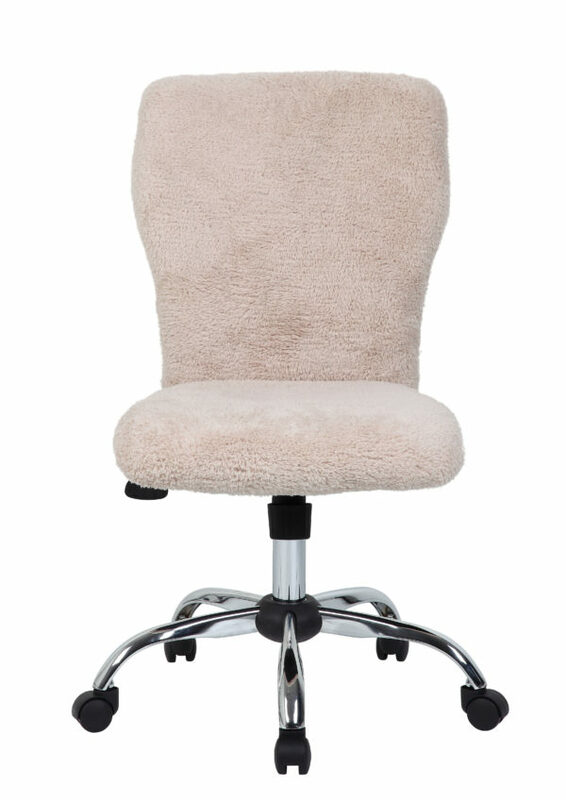 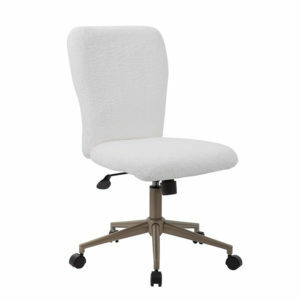 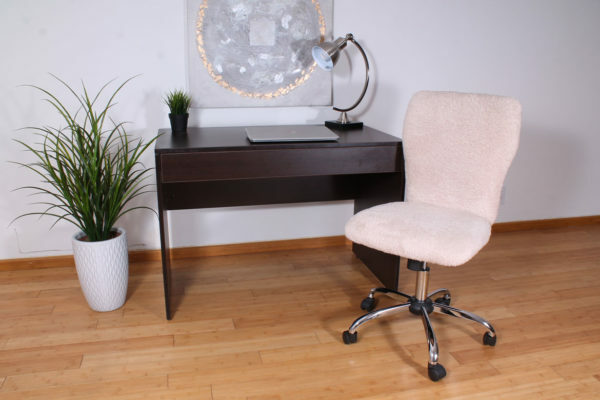 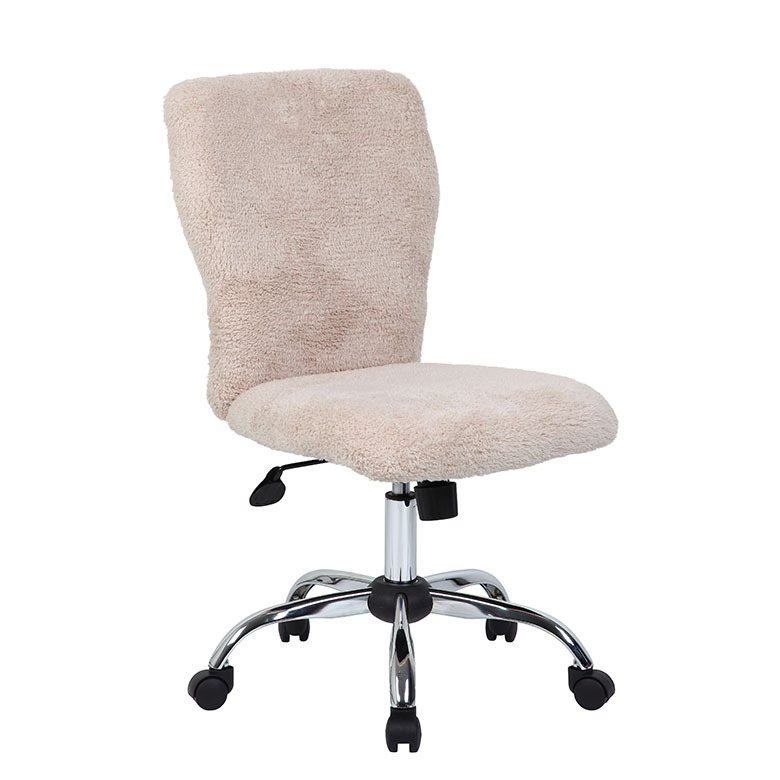 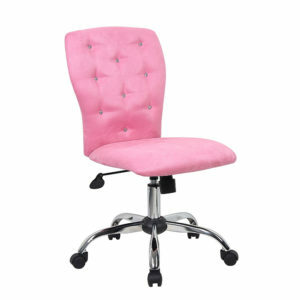 The Tiffany Fur Make-up to Modern Office Chair in cream is made with fur material and also features a spring tilt mechanism. 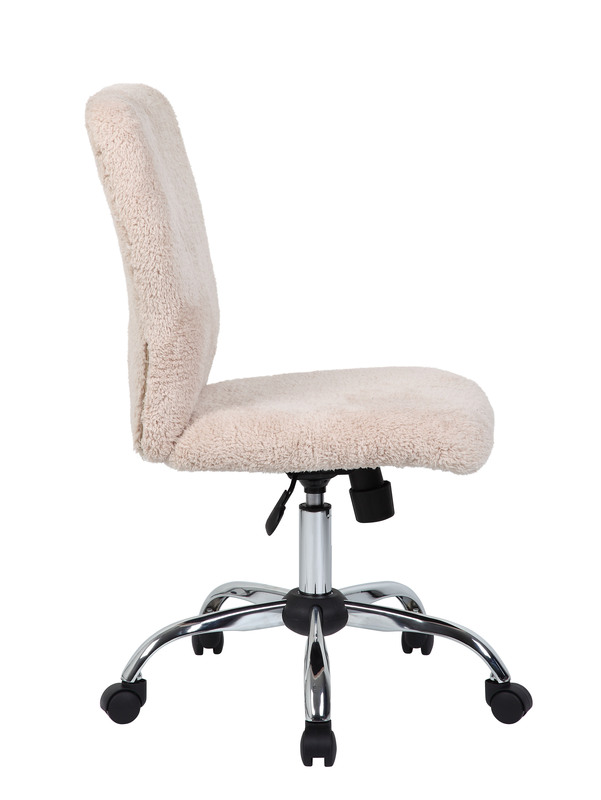 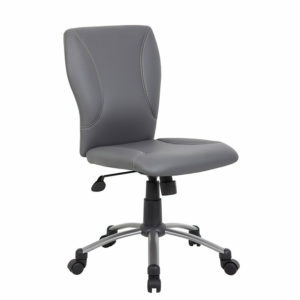 The spring tilt mechanism changes the angle of the entire seat relative to the floor and allows one to transfer some of the upper body weight to the backrest of the chair. 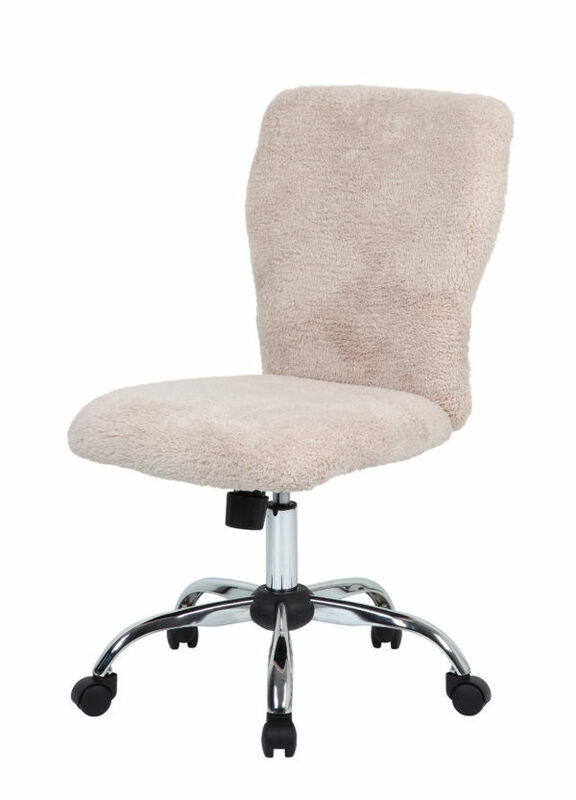 It also boasts a sturdy 25 inch chrome base with 2 inch nylon dual wheel castors for a smooth roll and has a weight limit of 275 lbs. 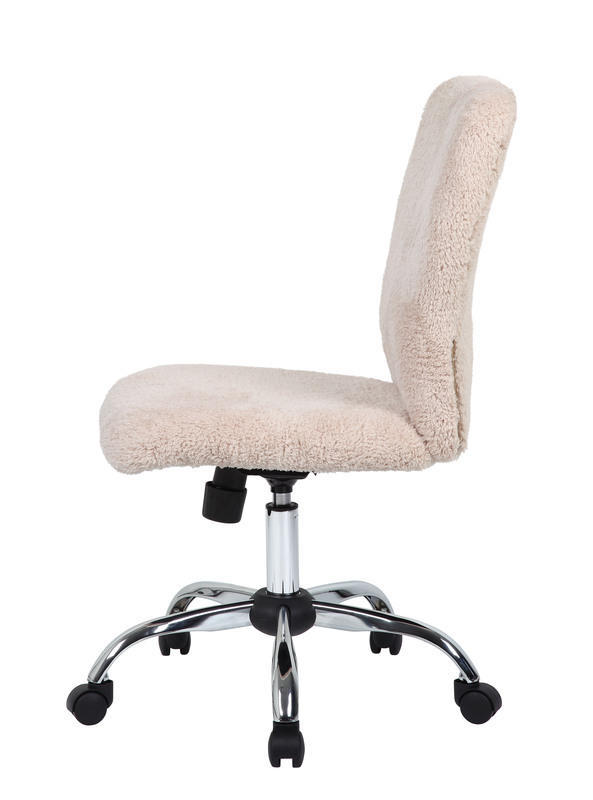 in addition to offering tilt tension, a pneumatic gas lift and an upright lock.